It tailgating time again! 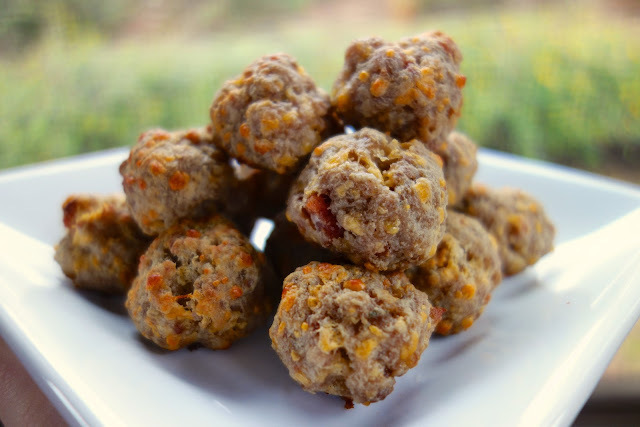 This recipe is a variation of my favorite Cream Cheese Sausage Balls. I swapped the sausage for hamburger and added some bacon to the recipe. They turned out great! I really liked them dipped into a little BBQ sauce or Ranch dressing. Do you want to know my secret to mixing up sausage balls and meatballs? I use my KitchenAid mixer with the dough hook. It mixes everything perfectly and you don't have to get your hands messy! 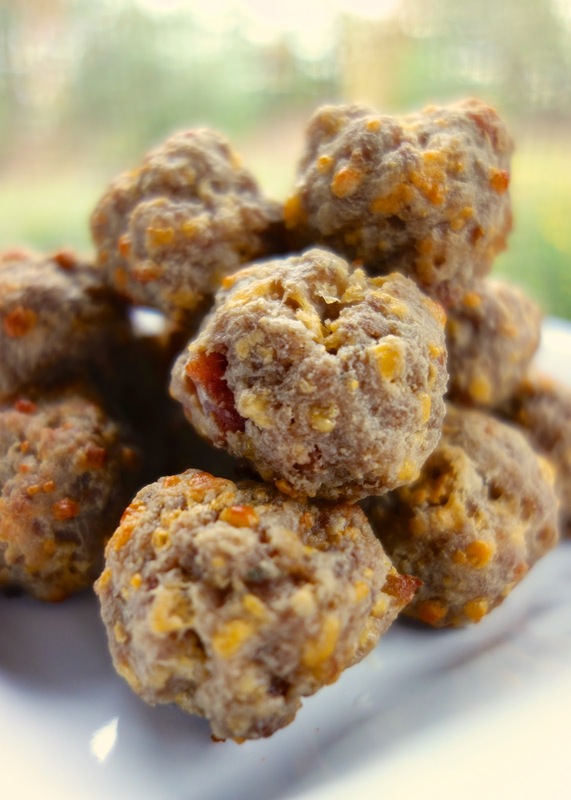 These Bacon Cheeseburger Bites are a great make ahead snack. I like to mix a batch up and freeze them for later. You can bake these straight out of the freezer, just add a few minutes to the baking time. Take these to your next party - they are a guaranteed crowd pleaser! Roll into 1-inch balls. Bake for 15-20 minutes, or until brown. Bacon Cheeseburger Bites may be frozen uncooked. If baking frozen, add a few minutes to the baking time. would putting them in the slowcooker work? these look terrific! I think we'll have these Sunday night while we watch NFL. Cristina - I've never tried that, but I don't see why it wouldn't work. The bites wouldn't be as crispy on the outside, but they should cook just fine. Let me know who it turns out. Sue - so glad to hear they were a hit! Do you brown and drain the ground beef first? I would think so, but it doesn't say. No. The beef cooks in the oven with the rest of the ingredients - like sausage balls.